Although it might have three different spellings, a toque is is another widely spread Canadian term that came from French. A toque (pronounced tōk) is a knitted hat that’s generally worn in the winter (but hey, there are always those people who wear them year-round). Also called beanies, knit caps / hats or sock caps. A lot of the power in Canada is generated via hydroelectricity because, well, we have a lot of water. When it comes to talking about electric and power, hydroelectricity is just far too long. So instead of using electric we just shorten it to hydro. Not all provinces use hydro for electric, but I always have here in Ontario. My non-Canadian friends always giggle at this one. Homo milk stands for homogenized milk – which is 3.5% fat. Whole milk. In Ontario, it’s always labelled in red (whereas 2% is blue, and skim is light blue). 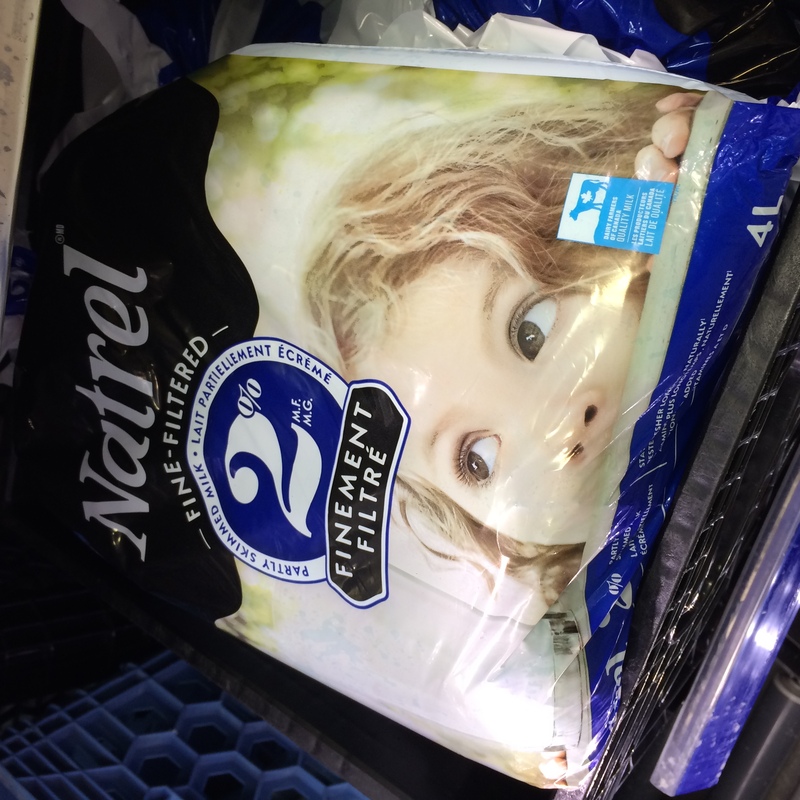 We also sell milk (of all kinds) in bags (pictured to the left – there are three, rectangular bags of ilk inside the one bag). When your milk is in bags, you also have related accessories: milk bag jugs, and those magnet things that have a razor in it to quickly cut off the corner of the milk bag. That’s right. We keep tiny weapons on our fridges; it’s wild. I’m not sure if this rings true for others, but I’ve always used chesterfield to describe a fancier couch or sofa. Of course it is the type of sofa that has the buttoned upholstery – and generally speaking, that screams fancy to me. It brings to memory the chesterfield my parents had when I was growing up; fancy legs, buttoned back, navy velvet. It was definitely a looker! I can’t imagine that this is rocket science to figure out, but we often use washroom in place of bathroom, loo, W.C. or lavatory. While we’re on the topic of washrooms, one thing that seemed to shock and horrify a lot of my Japanese students was that the public washroom stalls do not go all the way to the down here. I know it’s pretty standard in North America for you to be able to peak under a washroom stall (if you so desire, I suppose), but in Japan (and I’m sure in other places, too!) the doors go right to the ground. 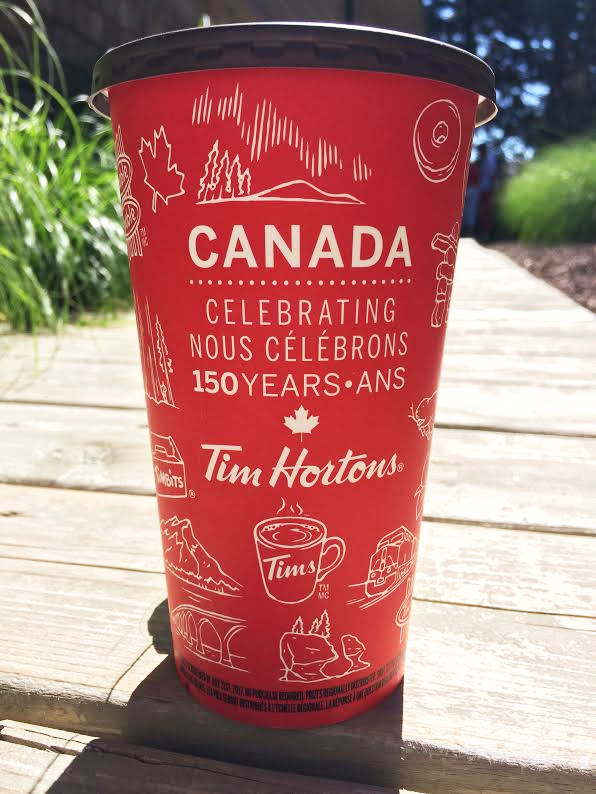 Tim Horton’s (or Timmies) is a Canadian coffee and doughnut shop that was founded in 1964 by hockey player, Tim Horton. They’re known for cheap (in comparison to say, Starbucks) coffee, doughnuts, and snacks, including sandwiches and soups. I don’t drink coffee personally, but they do have a nice Earl Grey tea! Timbits are donut holes, and they are perfectly bite-sized and delicious. I have fond memories of playing field hockey, and having a parent bring the team a box of Timbits. Every few months someone will also bring a box in to work (and at my office it becomes a free-for-all to get the good ones before they’re gone). Double-double means two cream, two sugar in… you guessed it, your coffee. So if you pull up to Timmies, and order a double-double, you’ll get a coffee with two cream and two sugar. I’ve talked about this before, but a Loonie is a Canadian one-dollar coin, and a Toonie is two-dollar coin. Before you come to Canada and make a joke about how we all must be crazy up here (due to the loonies… yeah, it’s lame), please realize that it’s called a Loonie because it features a picture of a loon – the incredibly majestic bird. Toonie rhymes with Loonie. We’re creative. If you’re running away from a grizzly or sasquatch, what do you need on your feet? That’s right – runners. Runners, which I always assumed was a more colloquial term for running shoes, are sneakers, tennis shoes, or really any type of athletic shoe you might wear in phys ed (… or gym class or P.E – whatever you want to call it). How many cans are in the box pictured? Twenty-four. 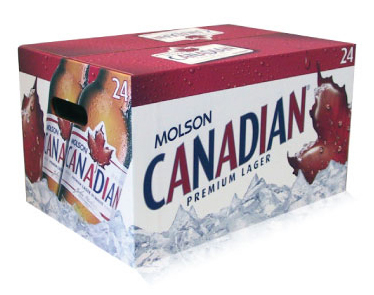 A box with twenty-four cans of beer is known as a two-four. We also tend to use the phrase two-four to refer to Queen Victoria Day weekend (May 24th or May Two-Four). I have a sneaking suspicion this is partially due to the copious amounts of alcohol consumed on this day, haha. Another alcohol related term is a mickey, which describes a bottle of alcohol with 375mL (or 13oz). Apparently the bottle is supposed to fit in your pocket, whether or not it actually does is a different story. I think this term is also used in Australian English (but please correct me if I’m wrong!) – the bush is basically a wooded area (we have lots of these in Canada). It’s not manicured like a park, and usually refers to an unkempt or overgrown plot of land. You know, that place that’s just outside of town, accessible, but not right on the main road? A bush party is, well, a party that takes place in the bush. It’s usually teenagers or university / college students who you can find throwing bush parties as it’s less likely you’ll get caught drinking underage (which in Ontario, is if you’re under 19). An eavestrough is the gutter that runs along the edge of your house, and it still kind of blows my mind that English speakers all over the world don’t use this phrase. If you ask me, a gutter is on the ground – like in bowling, whereas the eavestrough is in the air (or elevated, at least). 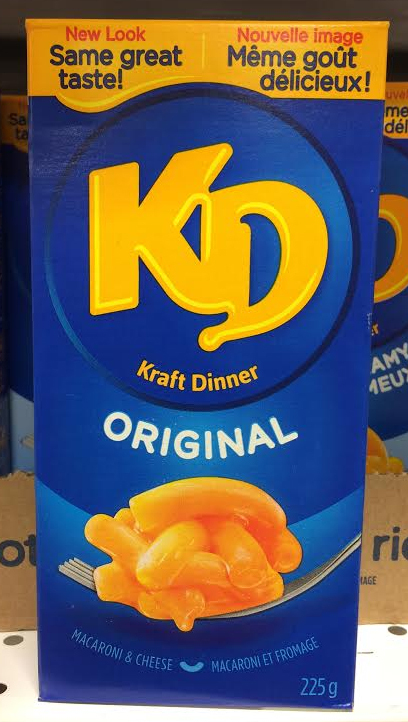 I know a lot of jokes are made about this amazing, bright orange, delicious macaroni being a Canadian staple, but I love KD – or Kraft Dinner. I love all the different types of it – original, creamy, three cheese, spirals, Star Wars shaped, white cheddar (I haven’t tried the spicy kind yet). It’s a great dinner on a cold, winter night, but it’s just as good on a hot summer day. And while it was a life-long accomplishment to be able to finish an entire box by myself (judge me all you want, I don’t even care), I usually make it with the intention of having half for dinner, and half for lunch the next day. I also recommend making it with cream instead of milk. It’s amazing. More recently I have a newfound love for the Kraft Dinner Macaroni Salad. If you can find it, buy it. Buy it all. It is the tastiest summer picnic or BBQ treat. In so many stereotypes, Canada = Hockey, and while I’m not a hockey fan myself (blasphemy, I know), I still know a little bit about it. To deke or deke out someone is a hockey move where you fake out another player by pretending to go one way, but really go another all the while keeping control of the puck. We did this in field hockey a lot, but the verb has started to seep out into being used outside of just hockey. Since we’re on the topic of field hockey (and this is my blog), I’d like to admit that I was once carded during a game. We were at some school up in the middle of no where, and a girl from the other team whacked my already tender ankle with her stick (if I say it was when I was trying to deke her out would that tie it back in nicely?). I yelled out, Jesus Christ! because it was pretty damn painful, and the ref yellow carded me. This was another word I had no idea wasn’t used everywhere else. Humidex which is a shortened form of Humidity Index, is how hot the temperature feels when taking the humidity into account (and yes, we do get heat and humidity here in Canada). I’m not going to pretend I know enough about math to tell you how it works, but the formula is available on Wikipedia if you’re interested. Growing up, this is one my Grammy and Grampy always used (even if my grandmother did accidentally turn her speedometer into miles and was driving 100 miles per hour down the highway instead of 100 klicks). Did that give it away? Klicks is slang term for kilometers. When making this list I did a lot of searching and asking different friends if they knew / used this word or that word. During my search, I came across a heated online debate over whether or not toboggan and sled were interchangeable. Look at it’s beautifully curved front, and stylish design. It’s sleek, and truly the best way to fly down a snowy hill. 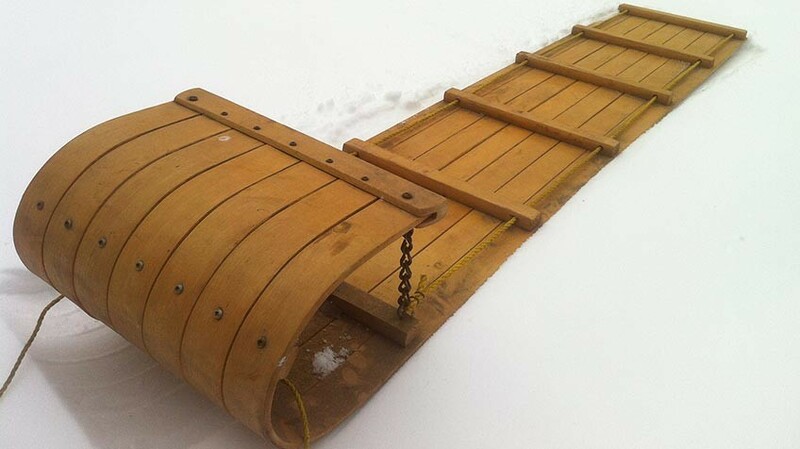 A toboggan is a type of sled, so while all toboggans are sleds, not all sleds are toboggans. I don’t think I say this personally, but my mother and grandmother use it all the time, and if someone my age (or younger) used it, I wouldn’t think it was strange. Maybe it’s because we’re in the land of ice and snow, but a housecoat is another word for robe. There’s nothing cozier than snuggling up in the winter with your jammies, housecoat, and fluffy alpaca slippers (I speak from experience). A keener is someone who’s overly eager (or … keen), but it’s often used as more of an insult, like a brown-noser. Keener always reminds me of the “Keeners” segment from Camp Cariboo, a Canadian TV show that aired in the 80’s and was on TV until the mid-90’s. I only learned about two days ago that this was not used everywhere, and I’m still trying to process the information. Brown bread is whole wheat bread. It’s pretty common to go out for breakfast here and be asked if you want white, brown or rye toast. Doesn’t, “Would you like white, whole wheat or rye?” sound like too much of a mouthful? Please do not come to Canada in search of “Canadian Bacon”. We won’t laugh in your face (because that’s just not polite), but we will snicker behind your back. Back bacon is a special cut of pork loin that is then cured. 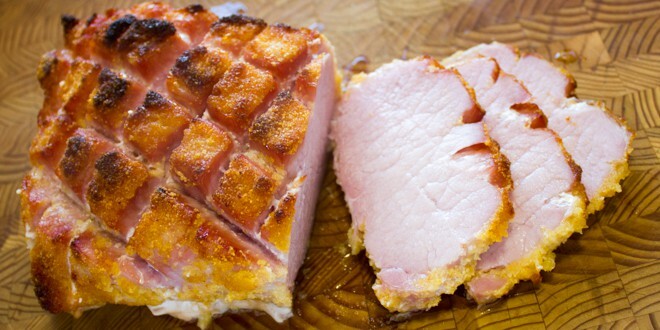 Peameal bacon takes back bacon up a notch, and rolls it in cornmeal. It’s delicious, and more like ham than bacon. Image from The Black Peppercorn. Track pants is another way of saying sweat pants, training pants, or athletic pants. I do not own a pair of these pants, no matter what you call them, so I have nothing more to add. Another word I used while teaching in Japan that was met with blank stares – elastic or elastic band refers to a rubber band. We also use it to refer to hair ties (hair elastic). A serviette is a napkin. I like it because it sounds classy, but usually just refers to a paper napkin. “table napkin,” late 15c., from Middle French serviette “napkin, towel” (14c. ), of uncertain origin, perhaps from past participle of servir “to serve” (see serve (v.)). Primarily Scottish at first; re-introduced from French 1818. I just really wanted to make this post more educational, and I like linguistics. This might change in the near future in Ontario as we are slowly allowing grocery stores to carry beer and wine, but the L.C.B.O is the Liquor Control Board of Ontario and (up until recently) the only place (other than wineries and breweries) where it was possible to buy beer, wine, and hard liquor. The one exception is The Beer Store sells which (shockingly enough) sells beer. Compared to so many other places around the globe (including in other parts of Canada!) it’s no wonder this seems so backwards. We’re working on changing it, though! 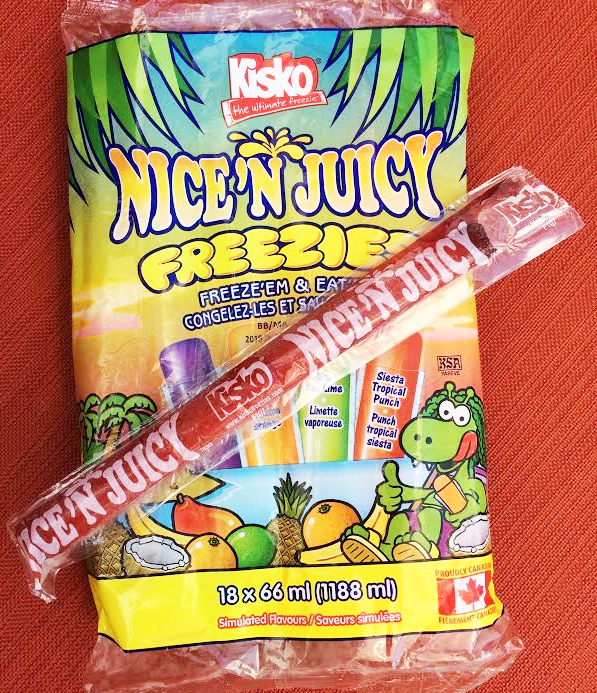 The other day I messaged my friend Ailea, who is from California with the question, “What do you call a tube of frozen juice?” I didn’t want to prompt her into the answer I was kind of expecting (a freezie) because I had no idea what else you could call these wonderful frozen treats. Turns out the answer is Otter Pops or Flavor Ice, for you American folk (it hurt me to leave the u out of flavour, by the way). But who doesn’t love a good old fashioned freezie? We used to sell these at our lemonade stands as kids, and provided a top cutting service with those scissors that always get super sticky as the ice melts and juice leaves behind that sugar, sappy, sticky messy. I don’t have one of these in my house (nor does anyone I know), so I can’t say this is a word I actually use, but I suppose if you have fancy friends with garbage disposals you would. If I’m not mistaken, this word started out west, and is slowly making it’s way east. Parkade is a multi-storey parking garage, which you can find many of in The Six (see what I did there?). Neither chocolate bar nor pop is exclusive to Canadian English, but they’re definitely the most commonly used words for these items. A chocolate bar is a candy bar, yet still applies to chocolate that may not come in bar format (like Reese Peanut Butter Cups… and in Canada, it’s Reese not Reese’s). We have some really great chocolate bars here, and if you haven’t tried them I suggest you do. Coffee Crisp (and I don’t even like coffee) and Aero (especially mint Aero) are among my favourites, along with Crunchie. Other popular bars include Crispy Crunch (which my grandparents always had in their cupboards), Mr. Big, Wunderbar, and Caramilk. 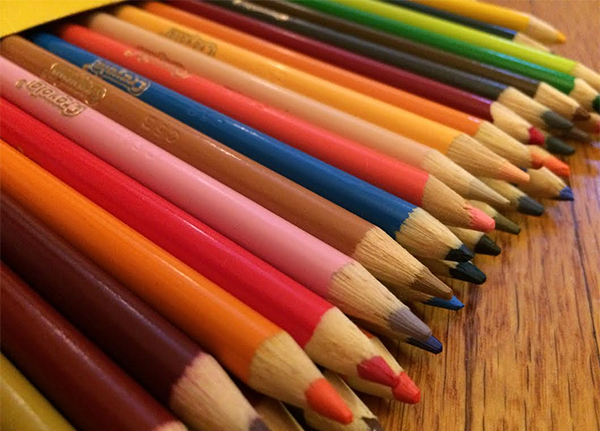 In Canada, Smarties are round, candy-coated chocolates and Rockets are sugar candy. And as I’m sure many people already know, pop is just another word for soda. I supposed it used to be soda pop and some people shortened it to soda and others to pop? Sounds legit. They say that eh is slowly dying out with the younger generation (… and now I feel old), but I use it. I will go down fighting for it. Me: You [Americans] use huh like we use eh. Matty: Oh, I guess we do. Okay, so it doesn’t quite examine all the intricacies of the eh usage, but it’s a start. Along with using eh like the example above, where one speaker is making a statement and using the tag expecting the other agree, we also use eh if we want our conversational partner to confirm that they know or understand something we’ve said. This article explains it better than I do. Also note, that overusing eh, especially in the middle of sentences or where completely u necessary, makes you sound like a hoser (did you think you’d get through a whole blog post on Canadian English and not come across that term? Come on now). It’s been a lot of fun for me exploring all these words, and testing both my Canadian and non-Canadian friends with strings of “What do you call…” questions. They’ve been tested, so now it’s your turn. I’d love to see anyone who’s willing create a comprehensible sentence or dialogue using as many of the words on the list above as they can. Type it in the comments, send it to me via contact form, post it on your website and give me the link – I would so love to see how Canadian you can make yourself sound. (Note: you will get minus 100 points for every incorrect usage of eh).